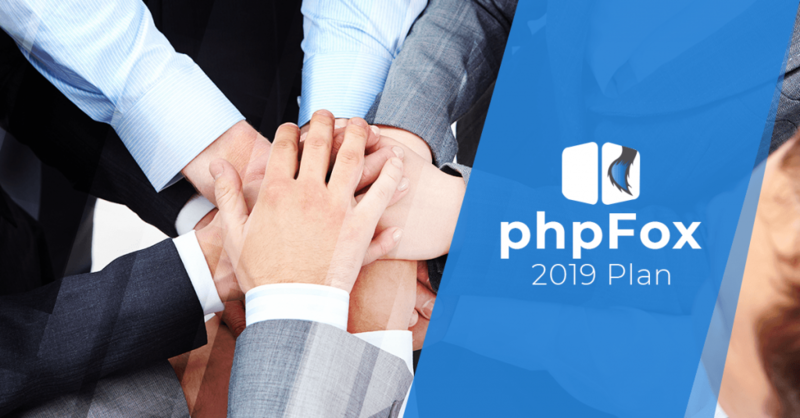 A new year has come, and it is time that we gather to discuss the phpFox 2019 plan. As you may know, we end 2018 with the initial release of mobile on par of the Performance improvement for the platform core in version 4.7.x. This year we continue our commitment to building phpFox as the most powerful and tech-innovative social network software. Let’s talk a bit more detail about 2019 roadmap. The initial Mobile Apps version is one of the biggest releases that we did in 2018. With good feedback from the community, we believe that our mobile apps are an essential part of any online community. In 2019 we will continue to stabilize the apps and define an integration method for our third-party apps. Documents and announcements regarding mobile apps integration are expected to be live before the 2nd Quarter of the year. After announcing the mobile integration method, we will also work on the official certified Mobile Apps Development partners. Partners who pass our qualifying conditions will have full access to our source code and documents so that they can able to customize phpFox mobile apps as per clients’ need. From that time, clients who need to modify their mobile apps can contact either phpFox or our partners. As you may know, phpFox already comes with a built-in IM Chat app with basic chatting features. We understand that in big organizations and communities, they need more than these basic features. So in this 2019, one of our focus will be developing or integrating a communication/chat tool that has advanced communication features that everyone loves. These include but not limited to group chat, better file sharing, supporting audio and video call, etc. Of course, the new Chat app will be fully integrated to our flagship mobile applications. In recent years, mobile devices are gradually replacing traditional desktops for online activities. We at phpFox recognized this trend will significantly affect user experience for any online communities. As a result, we will start developing a new phpFox version that adapts this emerging trend. On the new version, we will focus on optimizing mobile experience by embracing the latest Front-end technology (w/ React eco-system). An initial release is expected to come at the end of 2019 or the beginning of 2020. Any customers who have active software upgrade subscriptions are eligible to access. So stay tuned for any updates. SaaS (Software as a Service) is the global trend nowadays and phpFox is not an exception. We have thought about it seriously recent years but we had put more priority on building the phpFox core software before getting our feet wet with the cloud. In 2019, we will dedicate more effort on architecting and developing a cloud-based version for phpFox. Basically, the cloud version will have similar features as the self-hosted version, excepts the fact that community administrators do not need to have any experience on technologies as well as infrastructure management. We will keep you update on this as soon as we have an update. Even there are more additions to the phpFox eco-system, we commit to having continuous improvements for phpFox. We will do yearly revise to improve security, performance, and scalability of the platform. We will also provide more tools to help self-hosted clients easier to deploy and manage their communities. Last but not least, one of our priority in 2019 is improving our supporting quality. We have currently put more focus on training supporting staffs for the US office so that they can help to resolve customer’s queries better. As a result, you can expect to have faster responses from our staffs as soon as you need our assistance. Now all you have to do is to prepare yourself to take off as we fly together to a successful 2019. Just make sure to follow our Social Media channels to keep you updated. Be sure to follow our Twitter and Facebook Page to get the most recent news.